Embroidered 6th Cavalry Patch with " Aero Scouts". Iron on or sew on. 3" diameter. 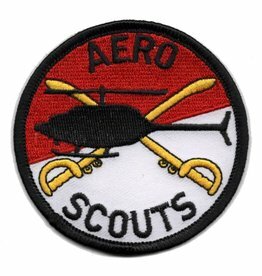 Embroidered 6th Cavalry Patch with " Aero Scouts"